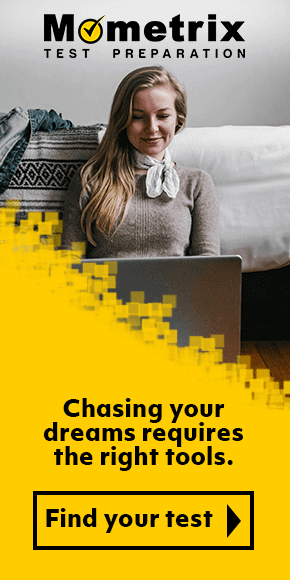 For an efficient and effective way to get college hours out of the way, CLEP offers thirty-three tests covering material students usually find themselves tackling in their first two years of college. With subjects from Biology to American Literature to Government, CLEP offers a variety of tests. Depending on the university, passing a CLEP test equates to completing three to twelve hours varying from subject to subject. Each CLEP test varies in how it is made up, but most solely consist of multiple choice questions. Scores are between 20-80 with a passing score generally being a 50 or higher. Mometrix Academy offers free practice questions and tutorials videos to help you prepare for the CLEP exams. 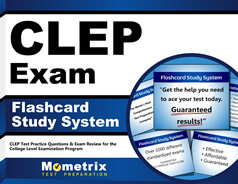 Use the free CLEP practice test questions below to get a better understanding of the CLEP exam. Take advantage of this valuable free CLEP prep to pinpoint your strengths and weaknesses. Mometrix Academy is a completely free resource provided by Mometrix Test Preparation. 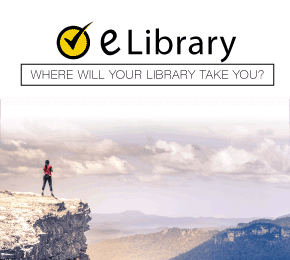 If you find benefit from our efforts here, check out our premium quality CLEP study guide to take your studying to the next level. 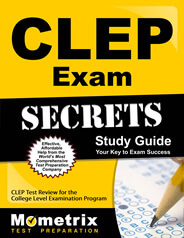 Just click the CLEP study guide link below. Your purchase also helps us make even more great, free content for test-takers.